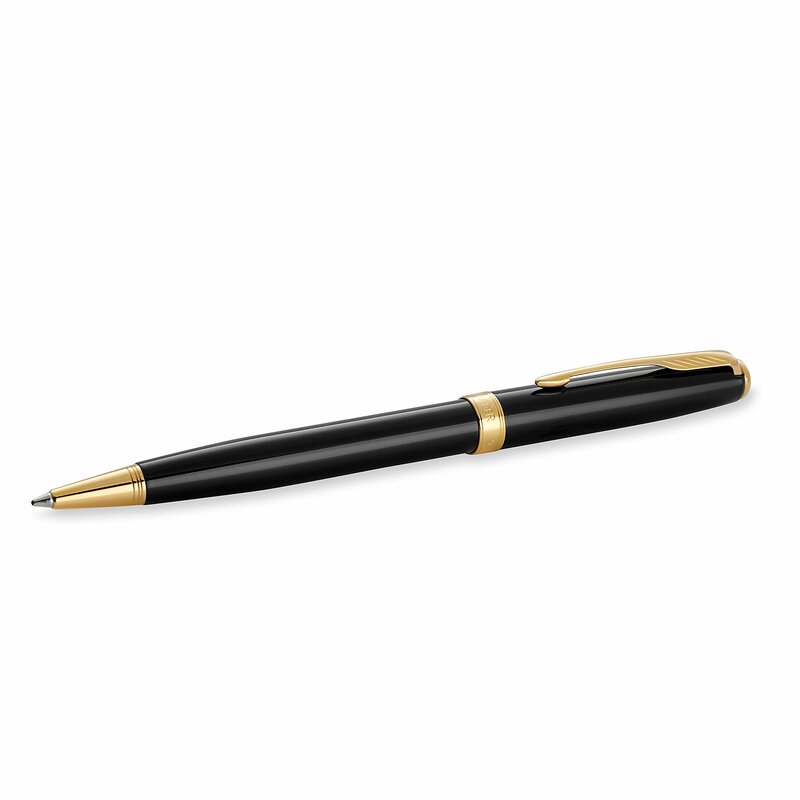 Home › Best-Sellers › Parker Sonnet Gt Lacquer Medium Point Ballpoint Pen With Golden Trim Black (S..
Parker Sonnet Gt Lacquer Medium Point Ballpoint Pen With Golden Trim Black (S..
Timeless and elegant, Sonnet is hand-assembled and individually checked for flawless quality; one of our most successful collections ever. Ballpoint pens are convenient for daily use. Parker's Quinkflow technology provides smoother, cleaner, more consistent writing performance. Timeless and elegant, Sonnet is hand-assembled and individually checked forflawless quality; one of our most successful collections ever. Available in arange of finishes, the Sonnet is a work of beauty, emblematic of Parkercraftsmanship. Ballpoint pens are convenient for daily use. Parker's Quinkflowtechnology provides smoother, cleaner, more consistent writing performance.Deep black glossy lacquer for a precious feel. Limited warranty guaranteesproduct for 2 years from date of original purchase against defects inmaterials or workmanship.